Yakima, WA, USA – December 12, 2018 – Yakima Chief Hops, LLC (YCH), the leading grower- owned American hop supplier, is pleased to announce their enhanced business model for the Australian region, following the resolution of a legal dispute with Bintani Australia PTY, LTD.
Bintani and YCH have reached a formal agreement related to their recent discrepancy, and as a result, YCH is changing the way they do business in this region to ensure the most reliable supply of quality hops to brewers of Australia. Yakima Chief Hops is proud to partner with Cryer Malt, a premier supplier of malt throughout Australia and New Zealand, allowing them to store their hops in strategic warehouse locations throughout Australia. YCH will also work directly with the Cryer Malt’s sales team, providing Australian brewers with an additional sales support network. 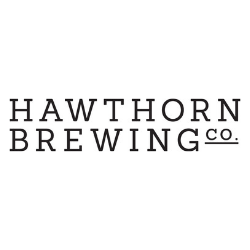 Effective immediately, this new business partnership seeks to overcome any logistical and customer service challenges, and improve upon their already deep connection to the Australian brewing market. In addition, Yakima Chief Hops plans to recruit and employ an Australian-based Hops Manager, who will report directly to YCH’S Vice President of Sales for North and South America, Ryan Hopkins, along with YCH’s grower-owners. This new team member will be responsible for ensuring that a constant and expansive supply of quality hops is accessible to all brewers throughout Australia. By establishing a strong partnership with Cryer Malt and expanding their sales team, Yakima Chief Hops aims to connect family hop farms to every brewer in Australia and provide them with access to quality American hops from the Pacific Northwest. With this, YCH extends the invitation to all brewers located in Australia to source their hops directly from their grower-owned company. “With our mission rooted in connecting family hop farms with the world’s finest brewers, we encourage all brewers to source their hops directly from the fields and families that grow their hops,” says Hopkins. We are beer lovers, farmers and families who share a culture of pride, partnership and innovation. We are a network of passionate farm families drawing on multi-generations of experience to support and inspire the future of brewing. From learning to logistics, we’re making it easier for brewers around the world to find new ways to use our beloved hops for extraordinary results. We pride ourselves in supplying the best ingredients available, and understanding the brewers’ needs to procure the best ingredients to craft the best beer possible. We take great pride in standing shoulder to shoulder with the brewers who have been at the forefront of the modern craft beer movement in Australasia. We’ve witnessed the astounding growth of craft brewing over the last couple of decades, which has exceeded all expectations. We’re honoured to have been able to turn our hand to the wheel in support of the people dedicated to making excellent beer and not afraid to push the boundaries. Listen to Matt’s chat earlier today on Beer is a Conversation with Cryer Malt’s David Cryer and Ryan Hopkins from Yakima Chief Hops.